Last date for income tax return filing for 2013-14 is approaching fast. For those who had not filed their income tax returns during the year, 31st March 2014 is the last opportunity to file tax returns online. 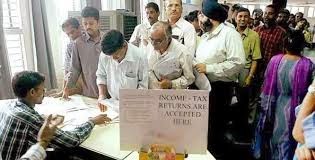 You can file your tax return for the Asst Year 2013-13 and 2013-14 without any penalty and minimize payment of interest. As such , from the current Assessment Year 2013-14, it has become mandatory to e-file your tax return for income above 5 lacs. Usually to file tax returns, some people tend to take the help of consultants, tax return prepares(TRP) and practicing CAs but it is worthwhile to know the bit of procedure about filing IT returns electronically. A resident having any asset located outside India or signing authority in any account located outside India. This form should not be used by an individual or HUF whose income includes income from Business or Profession. ITR 3: For Individuals/HUFs being partners in firms and not carrying out business or profession under any proprietorship. ITR 4: This form is applicable for an individual who has income from business/profession. Business income where such income is computed in accordance with special provisions referred to in Section 44AD and 44AE. ITR 5: For Firms, Co-operative Banks, Co-operative Societies, Limited Liability Partnerships (LLP), Associaltion of Persons (AOP), Body of Individuals (BOI) and Artificial Judicial Persons. ITR 6: This form is applicable for a Company. ITR 7: This form is applicable for a Trust. ITR 8: This form is used for filing only Fringe Benefit Tax Return. ITR V: Acknowledgement Form for all ITR Forms except ITR 7.